Recently, I've been having issues with both hair fall and dandruff. It was so frustrating and time-consuming because everything I tried didn't work. I'm actually not very familiar with Hairfinity, but they agreed to send me some of their products, namely their Cleanse and Condition kit and their Hairfinity Healthy Hair Vitamins. 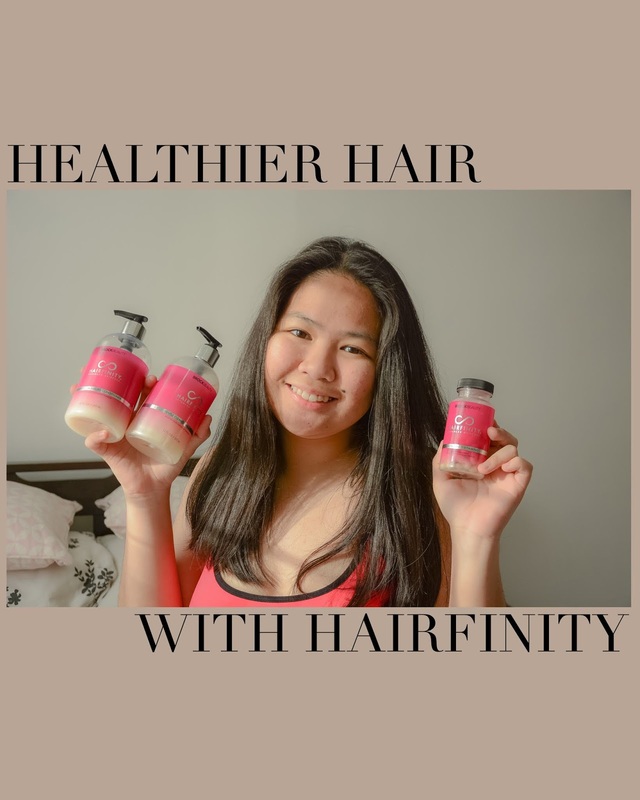 According to Hairfinity, their Healthy Hair Vitamins is formulated to fill in the gaps that are left by your regular diet to provide your body with the nutrition it needs for your hair to grow healthy and strong. The ingredients in this are Capisana Complex - a blend of amino acids in Hydrolyzed Collagen, MSM, Horsetail and Silica. Vitamins A and D, Niacin, Pantothenic Acid, Vitamin B12, Biotin, Vitamins B1, B2, B6, C, Folic Acid, and Calcium. 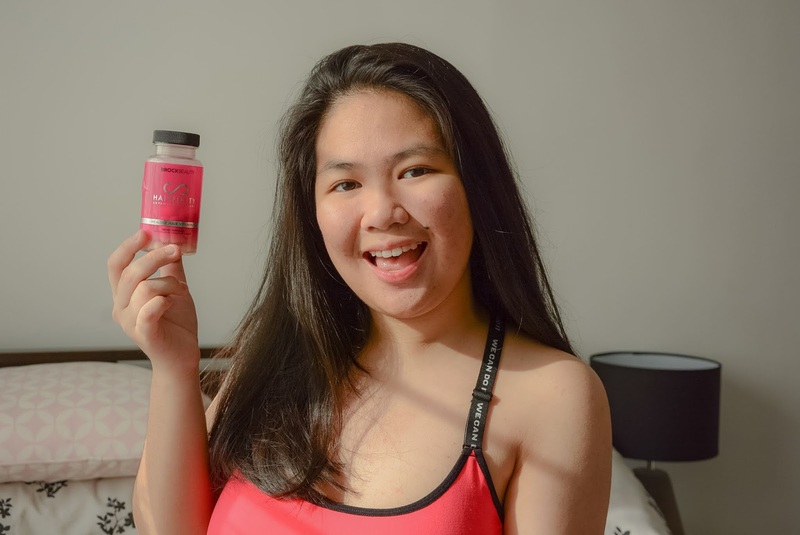 I followed their recommendation of taking 2 pills a day, and surprisingly, in just 2 weeks of usage, I've already noticed that my hair is a lot stronger, and I don't get as much dandruff as I used to do. A bottle good for a month costs $25 (around Php 1,400). I also received their Cleanse and Condition Kit which includes their Gentle Cleanse Shampoo (12oz), and Balance Moisture Conditioner (12oz). According to Hairfinity, their Gentle Cleanse Shampoo is a sulfate-free, hydrating cleanser that gently removes impurities from your scalp and strands without stripping your hair’s natural moisture. The result: Soft, refreshed hair Formulated with their exclusive CAPILSANA® COMPLEX, it won’t strip hair of its natural moisture. Proven to strengthen and reduce up to 82% of breakage. Their Balanced Moisture Conditioner is a moisture-rich formula that gently detangles, smoothes, and restores your hair to its optimal moisture level from roots to end while reducing breakage up to 87%. After usage for 2 weeks, I did notice that I had smoother hair compared to the shampoo and conditioner I used before this. I literally couldn't keep my hands off my hair! I even asked some of my friends to touch my hair. 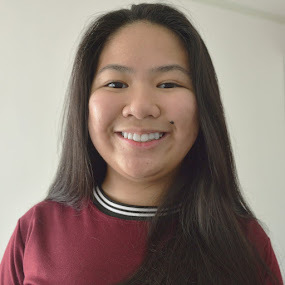 I got results in a span of 2 weeks! I would highly recommend this to my friends, and to you reading this who got an issue with their hair. Try their Healthy Hair Vitamins if you feel that you don't eat enough healthy food to help your hair grow healthier, or if you're experiencing hair fall because this is proven to strengthen hair. Try their Balanced Moisture Conditioner if you want smoother and shinier hair. These are the best for me since it's the first time I've gotten these results on my hair. They are a lot smoother to touch! Disclaimer: these products were sent to me by Hairfinity for an honest review. This post does not contain any affiliate link or such.